and attend the Southeastern Fly fishing Festival. This is the annual event hosted by the Southeastern Council of the Federation of Fly Fishers. It will be held at Western Carolina University's Ramsey Center near Cullowhee, NC. There will be two days of classes, fly tying, vendors and all around fly fishing fun. This is a great opportunity to learn from some of the best instructors in the nation. Many Master Casting Instructors and Certified Casting Instructors are donating their time to support fly fishing in the Southeast. Just a quick update on the fishing. Last week, just before the latest Nor'easter set in, in three hours we saw at least two dozen triple tail floating in front of Jekyll. We had shots at about a dozen, got one to eat, but didn't get the hook set. As long as the wind cooperates, the triple tail fishing here is a unique experience. The red fishing is still good. The fish are still in large schools for this time of year, are hanging out in their Spring/Summertime flats and eating well presented flies. Sea trout will start spawning off of Cumberland on the next moon. 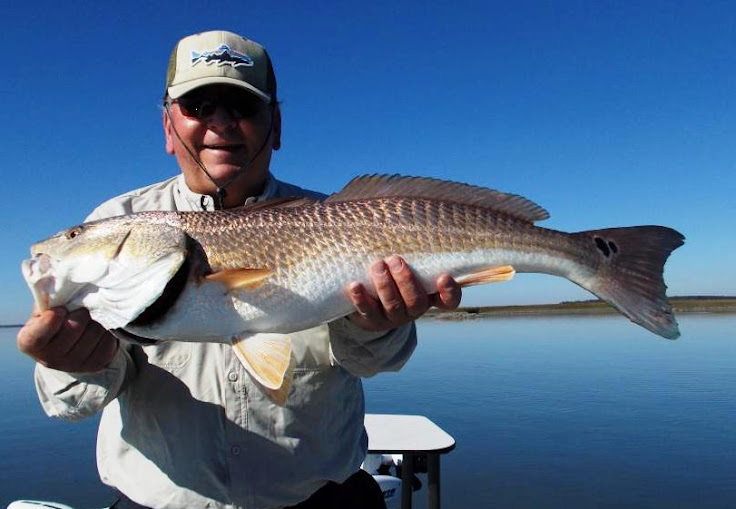 Fishing is about to get as hot as the weather here in the Golden Isles!!!! If you have not contacted me about booking a trip for tailers this summer, please do so as soon as you can. The prime days in May and June are booked.